Please join us for our 1st annual Client Appreciation & Artist Exhibition Open House at Junction Box – 1075 Park Ave W, Denver. Thank you for making us your go to REALTORS when it comes to Ranch, Recreation and Residential Properties! We are honored to be able to host this soiree at the Ranchlands Art Exibit. 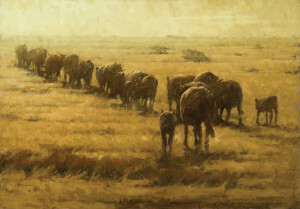 Artists who have taken their inspiration from the Chico Basin Ranch and the Zapata Ranch managed by Ranchlands, have offered to extend this exhibit just for you! As you savor the delicious appetizers and libations, we hope you will find a piece to take home. All art sales benefit ongoing projects at Ranchlands, plus 5% of art sales will go toward Colorado Horsecare Foodbank. Several of these artists can also be seen at the Coors Western Art Show running January 9 – 24th. 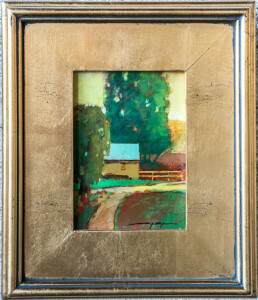 ARTISTS INCLUDE : DUKE BEARDSLEY, SOPHY BROWN, TERRY GARDNER, MARK GOULD, JILL SOUKUP, LANI VLAANDEREN, STEVE WEAVER. 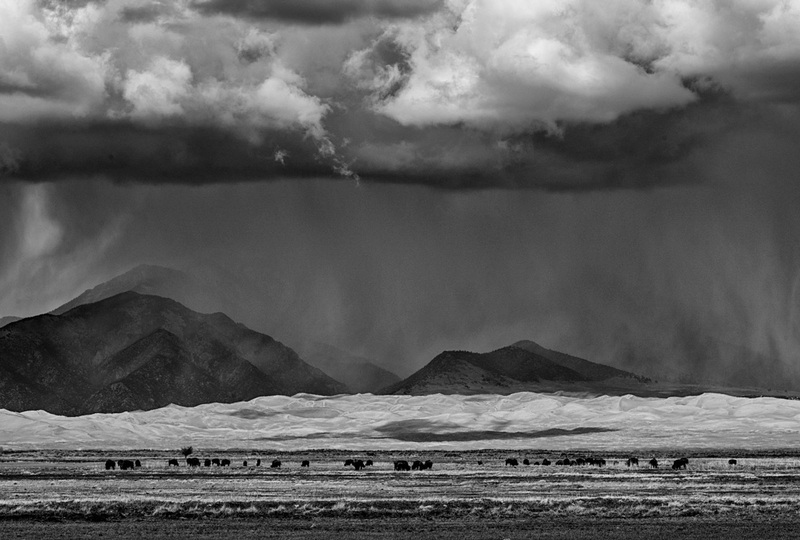 Click HERE to view entire exhibit. Select artists will be attending this soiree. 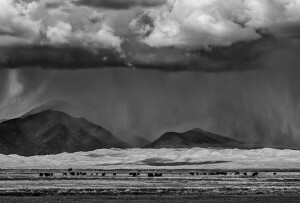 3-Night stay at Zapata Ranch for 2 people –Zapata Ranch is a working bison, cattle and guest ranch owned by The Nature Conservancy and operated by Ranchlands in the San Luis Valley in Colorado. 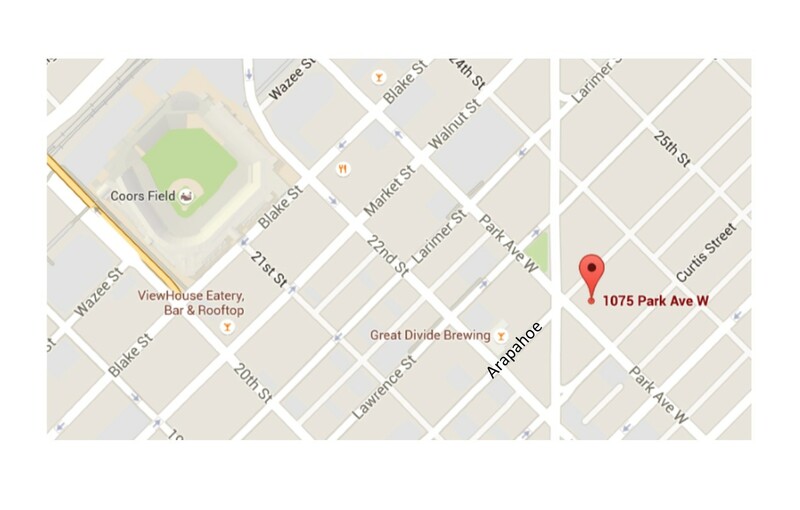 Venue: 1075 Park Ave W in Denver, not far from Coors Field. Junction Box is a brick building at the corner of Arapahoe and Park Ave W – The gallery entrance is off of Arapahoe. Parking is available on the street or in nearby parking lots. Please Be Our Guest! 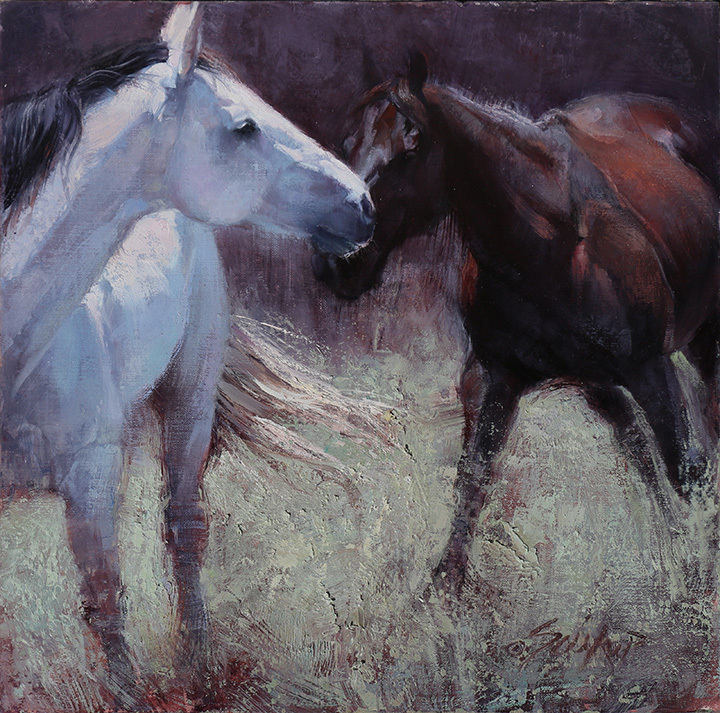 Client Appreciation & Artist Exhibition January 9th, 1-4pm! Please join us for our 1st annual Client Appreciation & Artist Exhibition Open House at Junction Box – 1075 Park Ave W, Denver – January 9th between 1-4pm. Mark your calendars for Hay Bales & Horse Tails and don your fancy duds! It’s almost time for great food and great laughs for a great cause. Please buy your ticket or table as soon as possible; the more tickets we sell for this fabulous event, the more hay we can buy before winter and have our supplies ready for those in need. Don’t miss out on all the fun. See you there! Enjoy an evening with horses at the Queen City Horse Show. Go to horsefoodbank.org for tickets and more info! 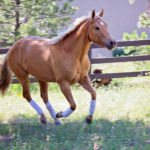 Colorado Horsecare Foodbank Receives ASPCA Grant! The Colorado Horsecare Foodbank has received at $14,000 grant from ASPCA! 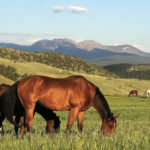 The grant will bring a specialist in Strategic Planning and Development out to Colorado to consult with the board of the Colorado Horsecare Foodbank on preparing for the future. Congratulations CHF!!! 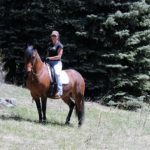 The Colorado Horsecare Foodbank started with Juliana Lehman in Evergreen, Colorado, but has turned into a regional force, helping to keep horses with their families and being at the ready in times of natural disaster. Consider supporting them through giving or through a gift on your behalf. In addition, they have upcoming fundraising events including Flowers for Food; buy locally raised flowers for your pots and gardens and Hay Bales & Horse Tales; a FUNdraising evening in the fall of entertainment, food and horse related shopping! 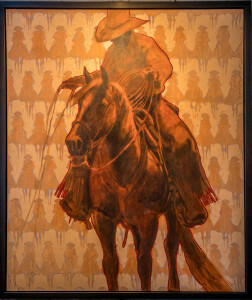 For more information about these events, giving and Colorado Horsecare Foodbank, go to www.horsefoodbank.org. 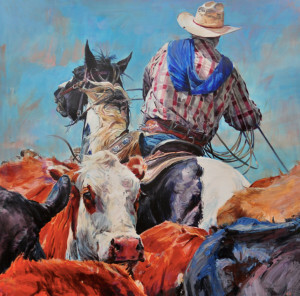 Register now for the Third Annual Cattle Drive & Ranch Ride, May 16-18. This year’s event expands to two days and includes a friendly team penning competition (no previous experience is necessary)! There is limited space and we are beginning to fill up! Package includes Friday to Sunday stay; use of a horse for the weekend; all meals from Friday dinner to Sunday lunch. Alcohol and gratuities are extra. 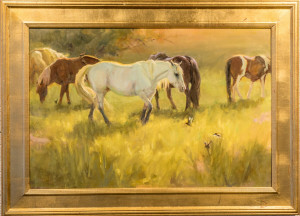 Proceeds from this event benefit Colorado Horsecare Foodbank to help fulfill its mission to keep horses with their people during times of financial hardship. Cancellation Policy: There are no refunds. We ride out—rain, snow, or shine! We are collecting your personal pots to start planting so you are ready for spring! Our Spring fundraiser, Flowers for Food™, begins its sixth year in 2014. We offer deck rail planters and hanging baskets with flowers we cultivate in the Foodbank’s two mountain greenhouses. While the snow is still swirling in Evergreen, we get our greenhouses growing! Pricing for our exquisite planters is very competitive; our plants are hardy; and we spend hours selecting plants that offer more interesting colors than you’ll find at local nurseries. Give us a chance to beautify your home environment—you’ll be supporting a great cause in the process. Pre-Orders & Refills: Would you like to have your own planters refilled next year? Prices for refilling your pots and/or planters vary depending on the volume of plant material needed. If you would like an estimate of the cost, please call Juliana Lehman at 303-670-1474. Sign up at www.horsefoodbank.org for this years HAY BALES & HORSE TALES! Chuck and Gail Ridings’ will again host the Colorado Horsecare Foodbank fundraiser Hay Bales & Horse Tales at their Lucky Penny Ranch in Hangen Ranch. What a treat as a horse nut to be able to see such a beautifully groomed and cared for ranch in one of our picturesque horse neighborhoods! 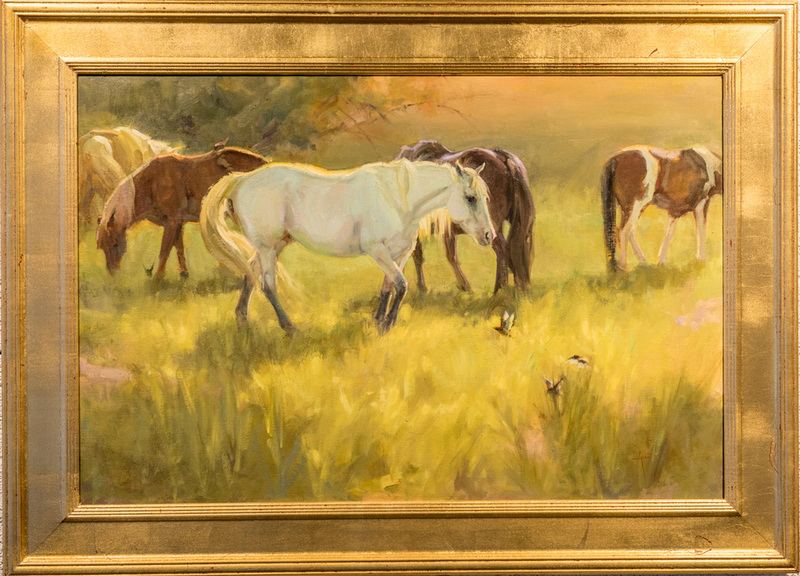 The location is perfect for horse lovers from our region to gather and support the vital services being performed by the Colorado Horsecare Foodbank. Come join us again this year! Juliana Lehman started this non-profit 501(C)3 foodbank to help keep horses in their homes during times of financial hardships through food grants as well as resources for interim help with needs such as veterinary and hoof care. Locals Kelly Hendricks and Ellen Storeim joined Juliana as founding board members. HAY: The foodbank is always looking for people who grow, haul or have the equipment to hay or can sell your hay to the foodbank at a low cost. EQUINE RELATED SERVICES: Farriers and veterinarians can offer services at no cost or a discount to foodbank clients. TIME: There are events such as Hay Bales & Horse Tales and other areas for volunteers to get involved and offer as much or as little time as you have available. FINANCIAL: Of course financial donations are always helpful for buying hay or helping horse owners during times of hardship to take care of their animals. FUNDRAISERS: The Colorado Horsecare Foodbank has put together three unique ways to support them. Hay Bales & Horse Tales is in the fall with destination locations, live music, great food and beverages as well as a silent and live auction full of horsey and non-horsey items. Flowers for Food starts before the last snow as foodbank volunteers start growing hearty local and unusual flowers and plants in two area greenhouses. Then in the spring they offer amazing planters and baskets at competitive prices. Horseshoes & Barbeques is a series of trail rides and even some cattle drives at exclusive locations around our area. Look for each years offering on the website in the spring. Thank you to the Ridings’ and all of the people who put together such an amazing evening for the horses and their people!